For Clues To China's Crackdown On Public Expression, Look To Its Economy : Parallels The Communist Party has become obsessed with maintaining social stability in recent years. Rights advocates say it has to do with the country's unstable economy. Chinese President Xi Jinping has cracked down on corruption — and dissent. Liang has made a career of defending people charged with subverting the state. His first case was defending a Uighur Christian accused of leaking state secrets, and his latest is representing a Tibetan charged with separatism after being interviewed by the New York Times. In between, he's defended many of his own friends: fellow lawyers imprisoned for doing their jobs. As Communist Party delegates gather in Beijing this week for a once-every-five-years Party Congress, President Xi Jinping will be applauded for his ability to maintain control over a society of 1.3 billion people. One way he's done this is through an unprecedented crackdown on lawyers, activists and organizations advocating for civil rights — a campaign aimed at quelling any hint of dissent against Communist Party rule. "They came for me at night, marched me out of my home, took me to a police station and detained me for 37 days," says 27-year-old Zheng Churan, who was held in 2015 as she was organizing a protest against sexual harassment on public buses. She was one of five women detained the day before International Women's Day that year for organizing rallies advocating gender equality. Foreign media in China dubbed them "the feminist five." "After I was released, national police continued to check on me," says Zheng from her home in the southern city of Guangzhou. "I barely responded, because all their warnings lacked logic and legal justification. All they talked about was maintaining social stability." China's Communist Party has become increasingly obsessed with maintaining social stability in recent years. When asked why, both Zheng and Liang offer a quick, unequivocal response: China's economy. "It's suffered in recent years," notes Liang. "Suppressing whistleblowers and lawyers is their way to maintain stability at a time when the economy is unstable." 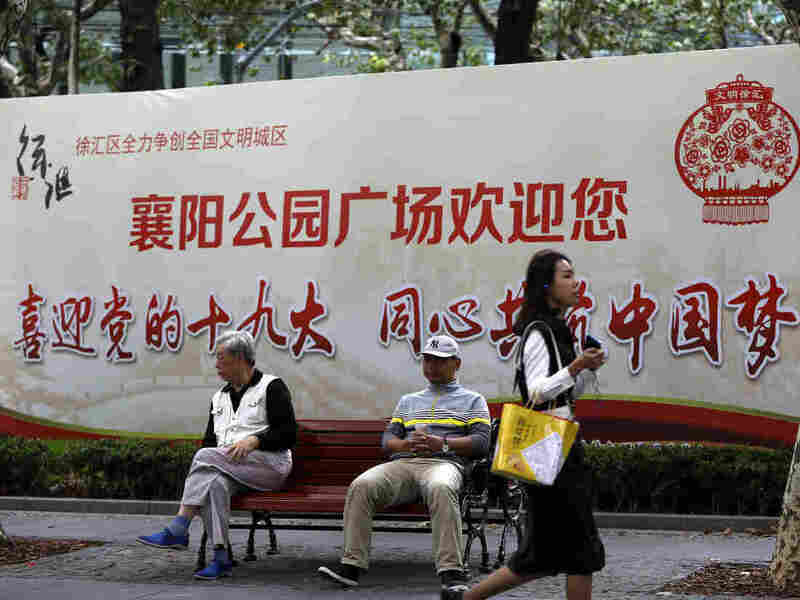 A billboard in Shanghai reads "Welcome the 19th Party Congress, concentrated together to build the China Dream." Since Xi Jinping became president five years ago, posters promoting the "China Dream" — Xi's guiding principle of rejuvenating the country — have appeared across China. China's unstable economy has its beginnings not in China but on Wall Street in 2008, when Lehman Brothers filed for bankruptcy, setting off the worst economic crisis in living memory. "In the year after the Lehman Brothers bankruptcy, the value of Chinese exports fell by about 20 percent, which is a very big deal," says Arthur Kroeber, a founding partner of Gavekal Dragonomics and author of China's Economy: What Everyone Needs to Know. In 2008, exports were the beating heart of China's economy, employing hundreds of millions of migrant workers who were working their way up China's social ladder to make up the world's largest consumer class. "The estimates at the time were that somewhere in the neighborhood of 20 million workers in export-related industries along the coasts lost their jobs and had to return home," says Kroeber. "It was a pretty major shock to China." How would a country accustomed to double-digit economic growth cope with tens of millions of workers suddenly out of work? China's leaders didn't wait to find out. Within weeks, they passed a historic stimulus package, injecting nearly $600 billion into the economy, an amount worth 15 percent of China's entire economy. "It was by far the largest fiscal stimulus, in absolute terms or relative to GDP, of any economy in the world at that time," says Kroeber. Millions of Chinese went back to work on infrastructure projects like the world's most extensive high-speed rail network, highways and subway systems. By 2010, China was back into double-digit growth territory again. But all this new money flowing through local governments exposed deep-seated vulnerabilities in China's political system — namely corruption, says Kroeber. "Corruption throughout the economy, it kind of got out of control," he says. "It was pretty bad before the financial crisis. The stimulus, I think, just poured gasoline on the fire of corruption." By 2013, when Xi was president, corruption within the Communist Party was spiraling out of control. Economic growth was steady, but underneath the numbers, debt was rising and so was wasteful spending. The party, it seemed, had lost control over its highest officials and China's economy. 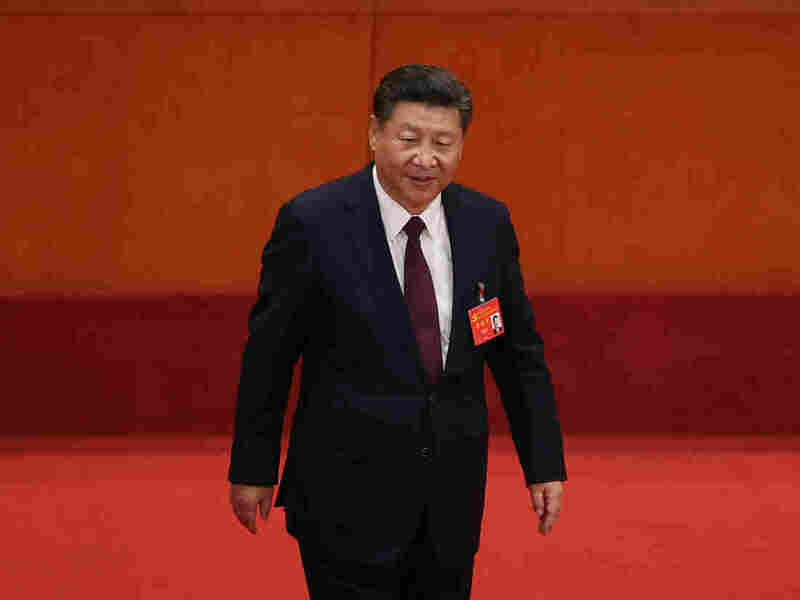 In a speech shortly before coming to power, Xi vowed to clean up the Communist Party through an anti-corruption campaign that would net hundreds of thousands of officials from the village level all the way to the highest members of China's ruling elite. Xi understood that economic growth – once a pillar of legitimacy for the party – was under threat, says Willy Wo-Lop Lam, author of Chinese Politics in the Era of Xi Jinping. Lam says Xi Jinping was forced to look elsewhere to legitimize the party, turning instead to two sources of inspiration: convincing China's population that only the Communist Party could restore the country to global greatness, and suppressing anybody who threatened the party's control over China. "So that's why we see an unprecedented amount of members of civil society, liberal college professors, human rights lawyers, leaders of the underground Christian churches, all under threat," says Lam. "All of them do not have any intent to overthrow the Communist Party. But from the party's point of view, these are destabilizing forces." Soon after Xi came to power five years ago, posters began to appear along streets, highways — everywhere, really — promoting the "China Dream," Xi Jinping's guiding principle of rejuvenating the country. Today these posters advertise 24 words that make up China's socialist core values, including "justice," "equality," "freedom" and "democracy." "Authorities ask government workers and school children to recite these 24 words," says Liang Xiaojun, the Beijing lawyer. "They're all bright, positive ideas, but they don't exist in China. I think they're there to craft a dream for the people." Judging by current trends, he says, that dream won't likely come true. Liang says he hopes he's wrong.